Patients have long relied on generic drugs to reduce costs and increase access to essential medications. However, significant price spikes for some generic drugs have begun to jeopardize patient access to affordable healthcare. Robust competition in the generic drug marketplace is critical to mitigating price spikes. HSCA and its healthcare group purchasing organization (GPO) members support common-sense policy solutions to help foster competition and speed up entry for new manufacturers. Click here to learn more. Critical prescription drug shortages continue to plague American hospitals and jeopardize patient access to many essential medicines. The U.S. Food and Drug Administration (FDA), Government Accountability Office (GAO) and others have identified numerous root causes of shortages, including manufacturing problems, quality issues, and barriers to getting new suppliers online when supply is disrupted. Healthcare GPOs work collaboratively with hospitals, manufacturers, distributors, and government agencies to ensure that hospitals and patients have access to the life-saving drugs they need. GPOs are industry leaders in addressing drug shortages and employ a variety of proactive steps to reduce their impact. Click here to learn more. Controlling narcotics use – particularly outpatient prescription opioid abuse – remains a public health priority. However, hospitals and other healthcare providers are currently experiencing critical shortages of a number of injectable narcotics that are an essential element of treatment for post-surgical and medical pain management. Without the necessary injectable narcotics available, many medical procedures would have to be postponed or cancelled, jeopardizing the wellbeing of patients across the country. Read more about HSCA’s recommendations to help ease opioid shortages. Advances in information technology and medical devices, and increasing interoperability of information systems, devices and services are improving patient care and creating efficiencies in the healthcare system. However, medical devices and services are vulnerable to cybersecurity threats that could jeopardize patient health, safety and privacy. Maintaining device and information security is a shared responsibility of the manufacturers and suppliers of connected devices and services as well as the providers that use them. Read HSCA’s key cybersecurity considerations for medical device manufacturers, healthcare providers, and service providers. Biosimilar drugs have the potential to increase patient access to life-saving medications and to reduce costs for the entire healthcare system, with one recent study projecting savings of $250 billion over ten years. HSCA and its members are working with FDA to help ensure a pathway to market for biosimilars that prioritizes patient safety and encourages development and uptake of these less-costly therapies. Click here to learn more. As healthcare shifts from volume- to value-based federal payment systems, and as negotiations move from price-driven to quality and performance measurements, evolutionary technological changes in the supply chain will help provide meaningful data that can lead to more patient-centered care. Advances in health information technology (HIT) and increasing adoption of global standards have helped connect the supply chain so that healthcare providers, suppliers and manufacturers can more efficiently collaborate and effectively treat patients. 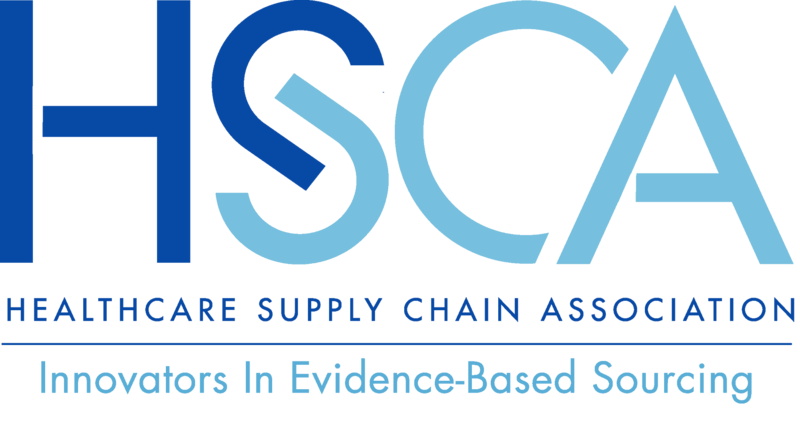 HSCA is working to bring about a world in which electronic health records (EHR) connect the supply chain using unique device identifiers (UDI), Track & Trace serialization, and related standards and protocols. Learn more about the HSCA Committee on Health eStandards (CHeS) and our policy priorities to help modernize the supply chain. GPOs are healthcare improvement and transformation organizations. GPOs leverage product sourcing and procurement to help hospitals and other healthcare providers reduce costs and improve patient outcomes. Recently, as market dynamics have evolved, online e-commerce marketplaces have gained some traction for simple commodity goods purchases. GPOs are innovative and self-disrupting organizations and most already offer sophisticated and accessible online marketplaces to their customers. The value that GPOs provide to their customers beyond a price in a catalog is what allows them to differentiate themselves in a rigorously competitive marketplace. Click here for a market overview. To reduce costs, increase competition in the marketplace, and help ensure that healthcare providers have access to the best products and services, GPOs focus on identifying diverse suppliers with innovative products and then help bring those products to market. Click here to learn more.